Crafting a custom odor or emission control system for your facility. 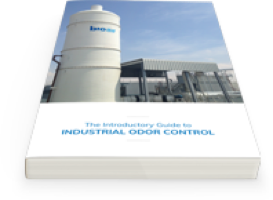 There’s no such thing as a standard odor control solution. At BioAir, we believe unique odor problems are best mitigated by crafting unique solutions. 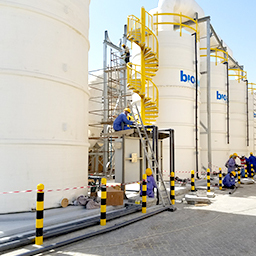 With the important information gathered during the site survey and odor assessment, our engineers get to work designing an odor management system matching your site’s challenges. Nothing about these systems is “stock.” The components we use are based on research we’ve done, and they’re fabricated to order. Once your treatment system is built, we bring it to your site for installation. While that’s ongoing, our team trains yours on the operation and maintenance of our easy-to-use equipment. How we created a sustainable odor control system that works better and costs less at a massive wastewater treatment plant. It’s not enough to build something, hand it over and leave. After installation, we start up your odor treatment system. You should begin to notice a reduction in emitted odors soon after startup. Then, a couple weeks later, a technician returns to your site to conduct post-startup testing. If your treatment system isn’t working as well as our designs promised it would, we won’t leave until it is.